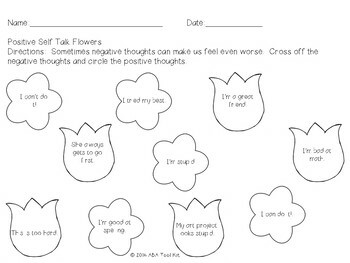 These activities focus on defining positive and negative self talk and building students positive self talk skills. 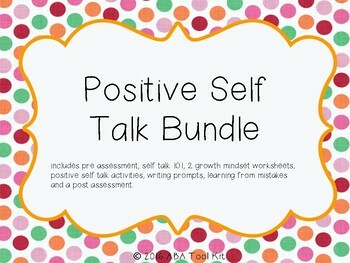 I use this in my home ABA therapy sessions, but they can be used in social skills groups, in special education, regular education, social workers, guidance counselors, really anyone looking to help a child build these important skills. 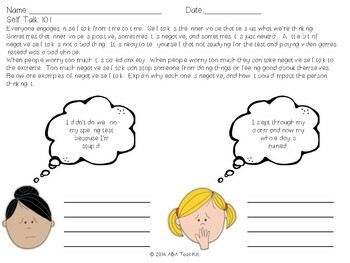 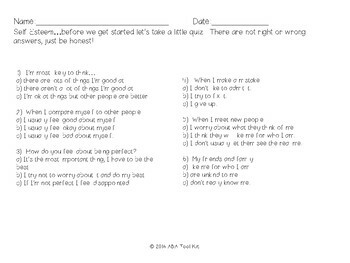 ...and blank worksheets if you need to individualize these activities to your learners or extra practice.